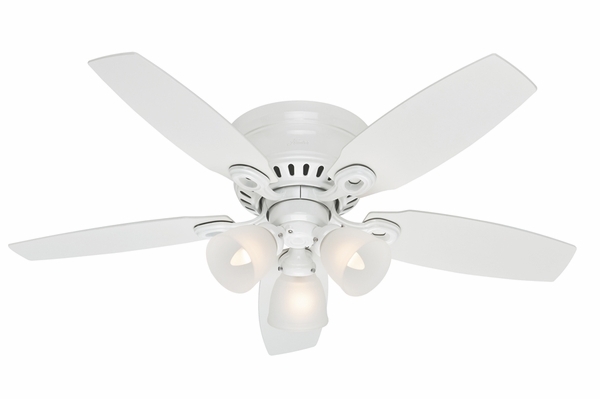 Hunter 52085 Hatherton Ceiling Fan with Blades and Light Kit - 46"
Home > Home Improvement > Fans > All Ceiling Fans > Hunter 52085 Hatherton Ceiling Fan with Blades and Light Kit - 46"
You'll marvel at the sophistication and old world feel of the Hunter Fan Company's Hatherton 46 inch Ceiling Fan. The Hatherton includes fan blades and a gorgeous light kit. 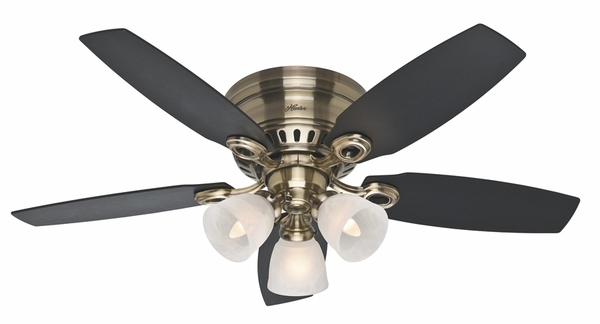 Available in new bronze, white, and antique brass, the Hatherton Ceiling Fan is an expression of wealth and glamour that you're sure to adore. Like all Hunter Ceiling Fans, the Hatherton includes a quiet and powerful Whisper Wind Motor, as well as Hunter's Dust Armor nanotechnology, and a limited lifetime motor warranty. For indoor use only, the Hatherton will remain quiet and wobble-free for life. 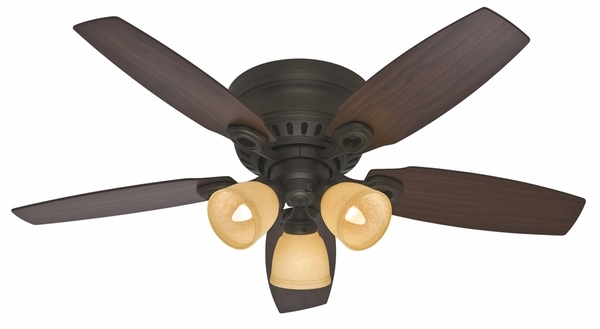 This ceiling fan is recommended for use in rooms with low ceilings due to its flush-mount installation.